Nothing can beat that awful feeling you get in the pit of your stomach when you put your key in the door, give it a turn and hear that cracking sound of the key breaking in the lock. How about trying to open a door that simply won’t move, even though you’ve already unlocked it? Or coming home late one evening and finding your door frame has cracked because somebody tried to force it open. We can improve your home’s security by repairing your doors, door frames, and door locks. There are many ways for a door to be rendered useless, and therefore considered to need door repair. In many cases, you may not even be aware that there may be a problem until the door stops working the way it should, leaving you trying to figure out the best way to get it fixed right away before somebody decides to walk right through the opening and taking advantage of your unsafe state. A door is one of the things that help us sleep peacefully at night. It keeps strangers and criminals out, and keeps our children inside, where nothing can hurt them. However, a door that goes without maintenance for some time can defeat its own purpose, and, instead of keeping you and your family safe, it could become a liability that might bring on disastrous consequences. 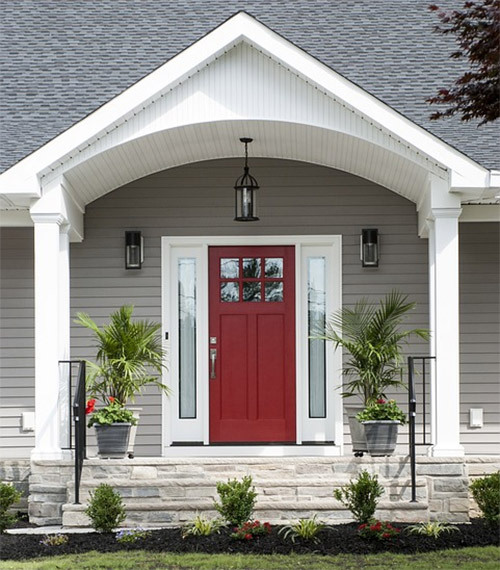 Most doors today are made out of wood, which means they can become frail and brittle thanks to inclement weather, normal wear and tear, and continued use. Many times door frames can become twisted and warped from improper weathering, and old locks can break without any prior warning. Not to mention the fact that in this day and age, personal security is at the forefront of every homeowner’s mind. Once upon a time, simply having a chain or simple lock on your door was a good enough deterrent to somebody thinking about breaking in. However, these days, an efficient door needs to cover certain points for it to be considered safe, including the installation of high-security locks, strengthened door frames, and much more. This is why, when you consider giving your doors a major boost, you should always keep Black Hawk Lock and Key in mind. Strengthening your door frames so nobody can ever break in. So, when you are thinking of getting that old, creaky door fixed in the Pittsford and Rochester, NY area, give us a call and we will get the job done right, the first time, and all the time.